Dedicated Hosting Servers v. Shared Web Hosting: Which Will Work for You? As the online landscape grows increasingly complex (or simplified, depending upon how you look at it), companies are wise to keep abreast with past, current and trending options for establishing or growing an online presence. As the PickUpHost blog dives into various options for managing your company’s presence on the web, we focus on the function and purpose of a dedicated server, how it compares to shared web hosting and when it can work for you. A dedicated server is a web host that runs your company’s website(s), but which is leased exclusively by your company. You can think of a dedicated server as the opposite of a shared web host server, which divides both the space and expense of a hosting service among multiple users. With a dedicated service, the host is dedicated to just one company, rather than shared among several. While a dedicated server hosts just one company’s websites, this doesn’t mean the company is running and maintaining its own server in a hosting data center. Rather, the dedicated server is leased from another party that houses the physical server. A dedicated server comes with some notable advantages over shared web hosting, the first being that because a company has exclusive use of the server, it doesn’t have to share resources with anyone else. This means there is no inconvenient sharing of RAM memory or disc space; all of the server’s resources are dedicated to just one user. This also equates to greater server power (power is not being distributed among many) and general flexibility. The server can be tailored to your company’s specific needs and maximum capacity; there are no usage limits, as with a shared hosting web service. Dedicated servers can also be cost effective, but probably not as cost effective as using a shared web hosting service. If your company is large enough to where it needs a full server to successfully operate, but doesn’t have as much to spend, a leased dedicated server is much cheaper than going for full server ownership. In addition, with a dedicated server, a company can decide the extent to which they’d like to be involved in server administration issues. Want a more powerful software package installed? Let your host manager help out or do it yourself. Or, if there’s something you’d like changed about the server, you’ll have full administrator access without paying additional costs for a management fee, as you would with a shared web hosting service. Your company requires large amounts of bandwidth and space that exceed the limitations of shared web hosting services. Your company needs the flexibility to change specific software at will. You’re concerned about security and reliability, and prefer the higher guarantees for both with a server only your company can use. Your company doesn’t need to rely on the additional features sometimes offered by shared hosting services, and will appreciate a greater degree of control over host administration. 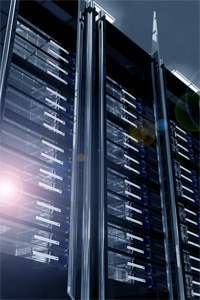 Learn more about dedicated server providers by exploring our comprehensive list top providers. We offer an unparalleled resource of hosting comparisons and reviews!